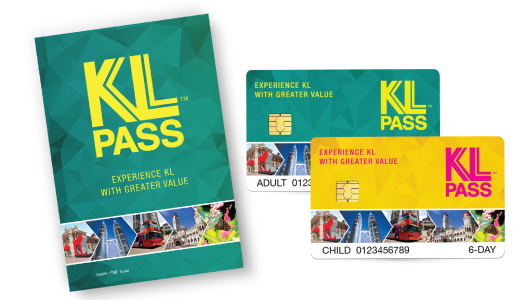 For those who are travelling around KL you can now get the KL ONe Pass which is the KL Pass. 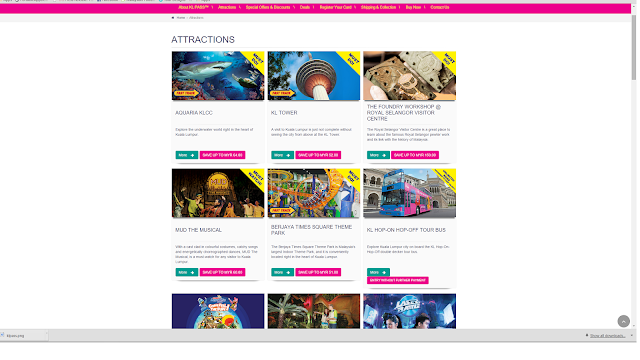 The KL pass where you can enjoy entry without further payment to multiple attractions in the city and skip the queues with special Fast Track lanes. 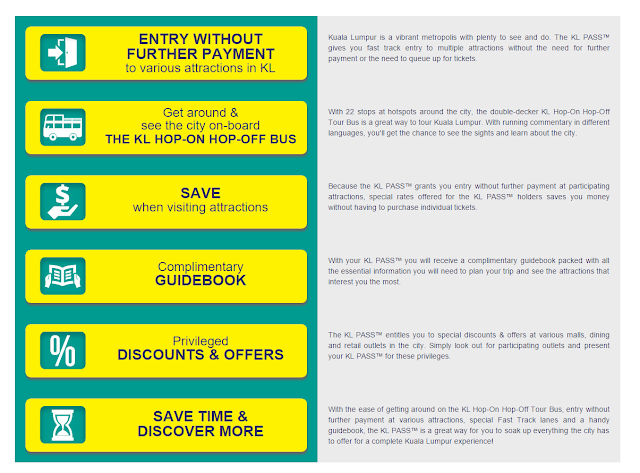 The KL PASS™ also allows you to get around the town with the KL Hop-On Hop-Off Tour Bus. For those who love to shop and enjoy great deals, the KL PASS™ entitles you to privileged discounts and offers at various malls, dining and retail outlets. With these fantastic benefits of great value, you will be sure that your trip to Kuala Lumpur will be a thoroughly enjoyable and hassle-free one with great savings! To help you plan your trip, the KL PASS™ also comes with a complimentary guidebook packed with useful information you need about getting around the various attractions of this bustling metropolis. The KL PASS™ comes in validities of 1, 3 and 6 days. With theKL PASS™, you will experience Kuala Lumpur with greater value and convenience.